DESCRIPTION: A ubiquitous species that can only be confused with the similar Holly Speckle (Trochilailicina). 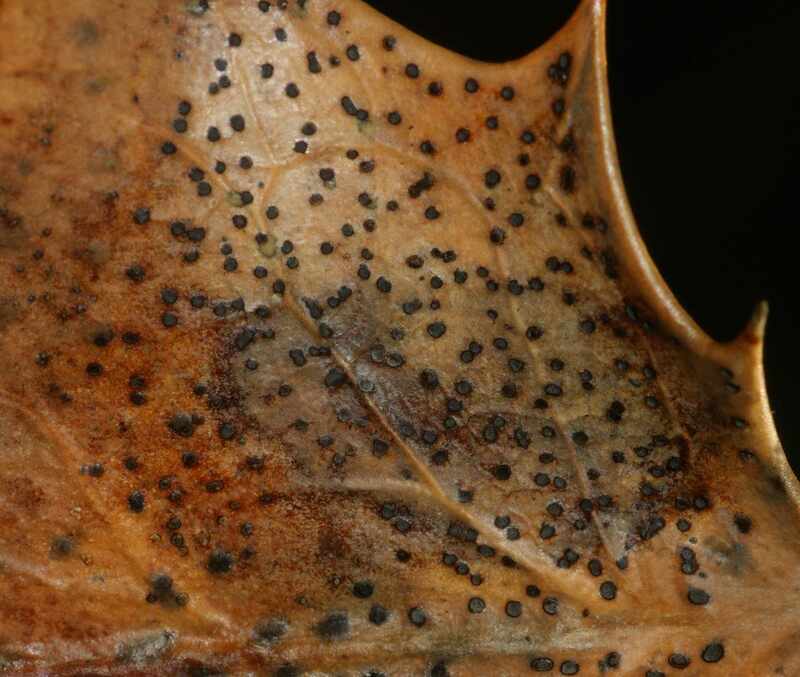 Here the individual pustules are black, measure up to 1.5mm in diameter and are found on the upper and lower surfaces of the infected leaf. HABITAT: On the dead leaves of Ilex species. SEASON: All year round.